On January 2 at 9.26pm EST, a Chinese probe did what no human or machine has ever done before and landed on the far side of the Moon, Chinese state media has said. In the historic landing and huge leap for China's space program, the Chang'e-4 lander made a soft landing in the Von Kármán Crater in the southern hemisphere of the far side of the Moon. Shortly afterward the probe, named after the Chinese moon goddess Chang'e, sent back the first spectacular images. As well as being a major milestone for space exploration, the probe will also spend the coming months using its instruments to analyze the untouched surface, potentially helping scientists learn more about the structure and geology of our satellite. The crater Chang'e-4 will venture into was chosen because it is one of the "largest impact craters in the Solar System and the largest, deepest and oldest basin on the Moon," Andrew Coates, professor of physics at UCL's Mullard Space Science Laboratory told BBC News. The hope is to investigate mantle rock unearthed during the impact. The first image from the surface of the far side of our Moon. The lander is also carrying equipment for biological experiments, which will attempt to grow Arabidopsis flowers and potatoes. The equipment will divert natural light from the Moon's surface onto the seedlings, triggering photosynthesis. The hope is that the plants will grow and emit oxygen, feeding silkworms also aboard the lander, which will in turn exhale carbon dioxide and exude waste to feed the plants. A major challenge will be the extreme and fluctuating temperatures of the surface. When the Sun shines on the surface, temperatures can reach more than 100°C (212°F) and plummet below -100°C (-148°F), making sustaining life on the satellite extremely difficult. However, China's hopes for putting life on the Moon doesn't stop with potatoes and silkworms. 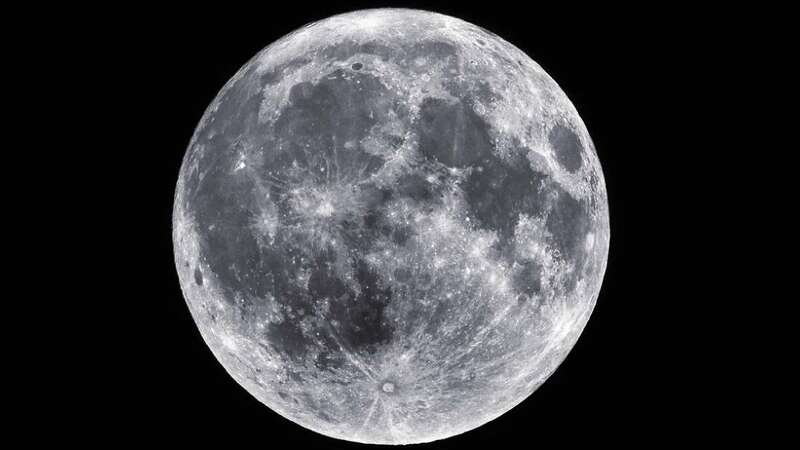 "Our experiment might help accumulate knowledge for building a lunar base and long-term residence on the Moon," chief director of the experiment and vice president of Chongqing University Liu Hanlong told SpaceDaily in April 2018. Having successfully landed a probe on the far side, they are at least one step closer to that ambitious goal. NASA and the European Space Agency tweeted congratulations to China's mission for the historic achievement. We've come a long way from the first images of the far side of the Moon. The far side was first seen by humans in 1959, when Soviet spacecraft Luna 3 sent back this fuzzy, albeit mind-blowing at the time, image below. More close-ups of the Moon's far side will be making their way back to Earth over the coming months. Left, the far side of the Moon captured in 1959, right a more recent NASA photo.